The holidays are upon us. It’s Christmas actually. Here at the Blog About a Dog you can actually say Christmas. Just please don’t mention it until the Thanksgiving turkey has been served. 5. A hot wheels like replica of the Weinermobile. 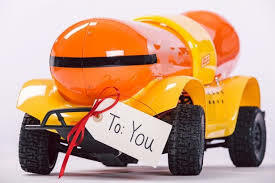 EVERY hot dog lover secretly wants to drive the Wienermobile. I would personally like to try and parallel park the thing. Now, your loved one can push it along the carpet to their hearts content. 4. 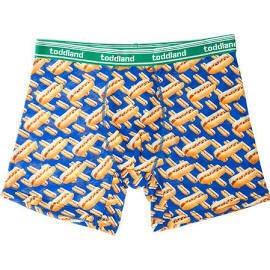 Hot Dog underwear. 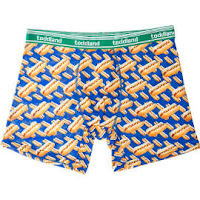 Only you will know about the wieners under your trousers. Plus, chicks dig them. I have a pair, trust me on this. 3. 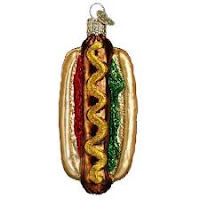 Hot Dog Christmas ornament. Nothing, and I mean NOTHING, looks more fashionable than a hot dog hanging on your tannenbaum. 2. 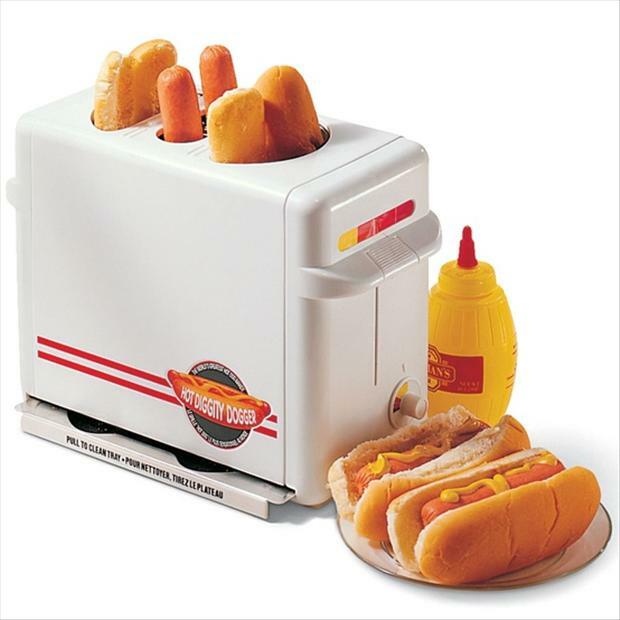 Also on my wish list is the hot dog toaster. It warms your weiner and toast the bun AT THE SAME TIME. Who said American ingenuity was dead? As baseball fans we got to open one of our gifts early this year as the baseball winter meetings were a flurry of interesting hot stove activity. Hopefully your real gifts will be just at interesting. It has already snowed three times here in northern New Mexico, but we at the blog are already dreaming not of a white Christmas, but a green spring with new grass on the field. 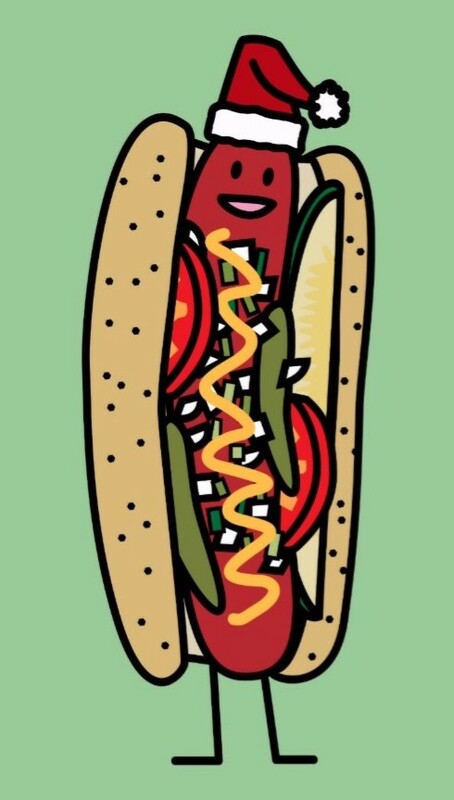 If there was ever a league in need of hot dog help it is the Arizona Fall League. If you read my previous posts you know that the meat menu is, let’s say, lackluster. Fans expect more and deserve better, and ballclubs deserve to turn a modest profit as pushers of processed meat. There is a happy medium. Some fans really don’t care what they stuff in their mouth, as long as it is a hot dog and a beer to keep the national pastime American. Others hit the ballpark hoping to find something unusual to make their visit to that stadium unique. The AFL teams can do both. 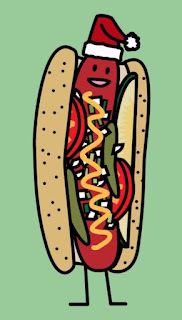 I propose offering a regular hot dog menu as they do now, and a limited selection of specialty dogs that can be linked to the home team. The clubs already have the mundane dog thing under control. But by doing some simple math they can figure out how many specialty dogs to have available during any given game. Baseball lives for metrics you know. The data would be easy to compile. Just get a set amount of ingredients ready each day and put the dog on the menu. When they are gone, they are gone. There you have it. Six awesome entrees on a bun. Each worthy of a least a bucket of fan drool. 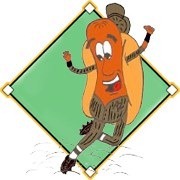 Considering that the AFL is the only place in the nation you can catch baseball that time of year, it falls on the league to carry the specialty hot dog torch. 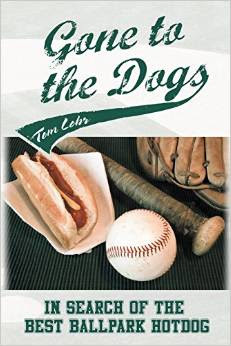 Baseball is always good, but it is always better with a delicious dog in hand.